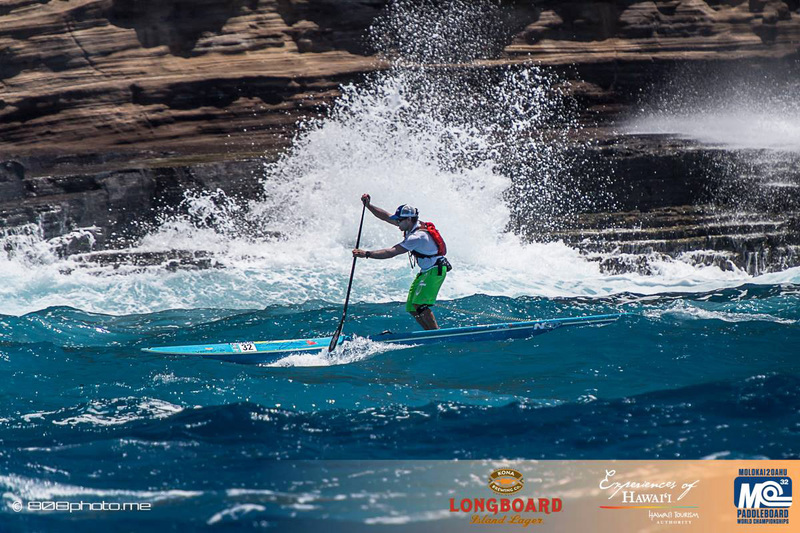 The Molokai 2 Oahu Paddleboard World Championships. 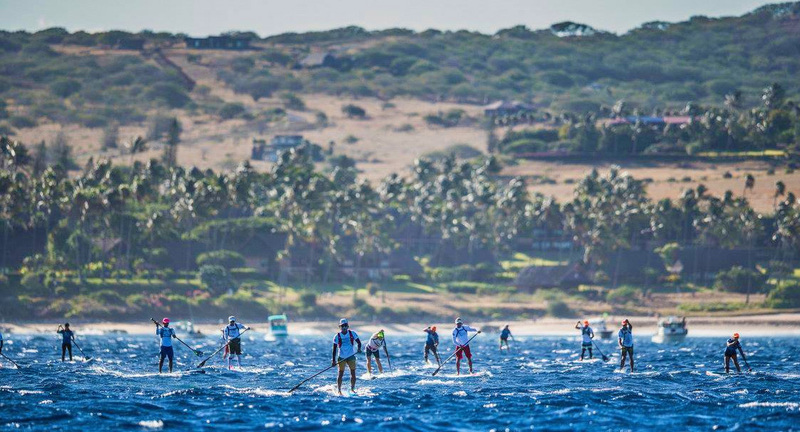 Spanning 32 grueling miles across the Ka’iwi Channel (aka the Channel of Bones) between the Hawaiian islands of Molokai and Oahu, M2O is one of the most prestigious (and oldest) stand up paddle races in the world. Legend status: Travis outlasted three-time champ Connor Baxter to claim his fourth Molokai crown. Terrene Black also defeated another three-time champ, Sonni Honscheid, to claim her second Molokai title. It was a clean sweep for Australia as Matt Bevilacqua and Harriet Brown defended their prone titles to join Travis and Terrene on top. 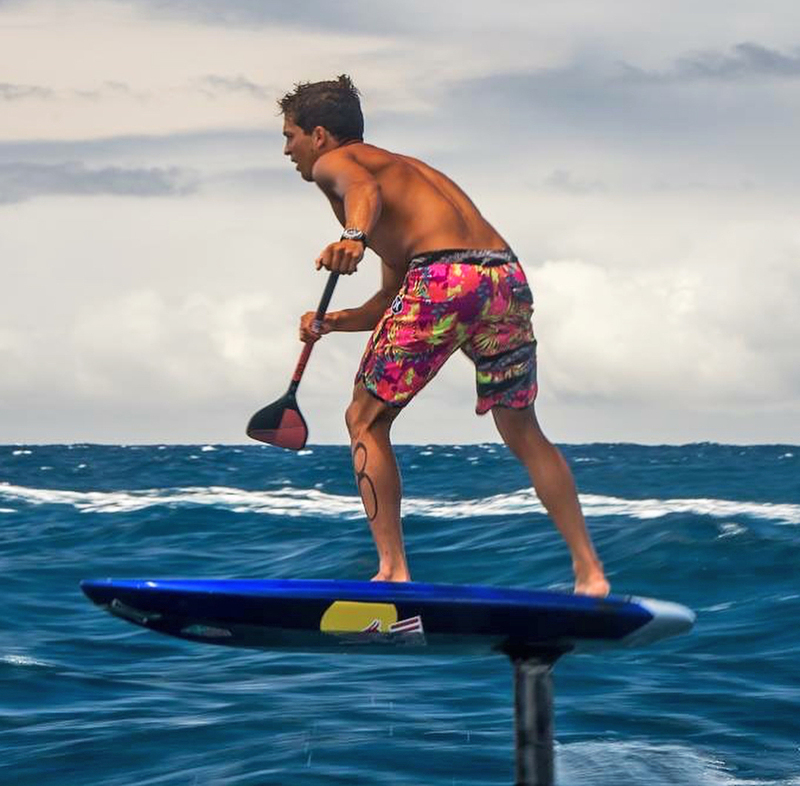 Kai Lenny has won the inaugural M2O foil race in a jaw-dropping time of 2 hours 52 minutes. And 16-year-old Annie Reickert makes history as the first woman to foil the Ka’iwi Channel. 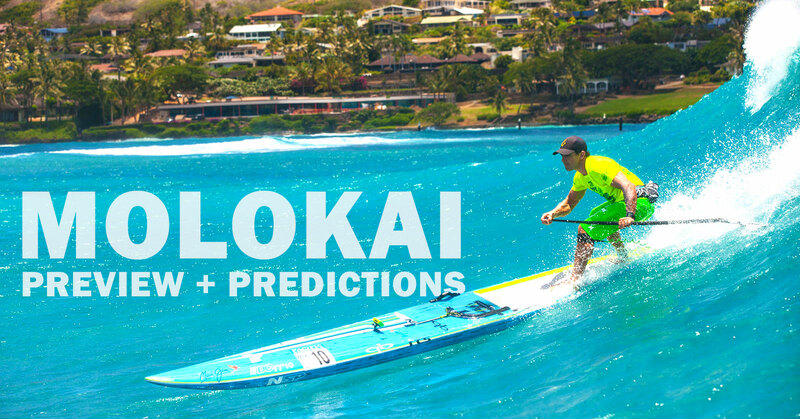 Molokai PREVIEW: Who’s going to win the most prestigious race of the year? And just like that, it’s the end of July. Where has this season gone? It seems like only yesterday we were freezing in the French Alps and getting ready to launch The Paddle League. Now it’s the end of July, the season is well over half done, and it’s suddenly time for the big one: Molokai. 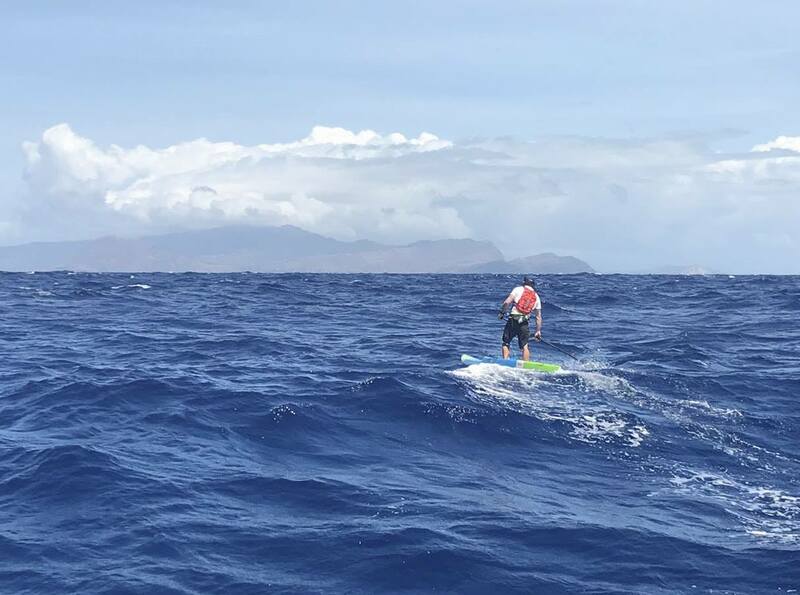 The 32-mile, open-ocean channel crossing between the Hawaiian islands of Molokai and Oahu has grown to become the most prestigious (and arguably: most challenging) race in the sport of paddleboarding, whether that be standing up or laying down. And this year is set to be a cracker, with a stacked field and promising conditions lining up to create a monumental showdown for this six-star specialty event. These are the big questions we asked Alain Teurquetil, the head designer of NSP and the man behind Titouan’s winning Carolina board and Travis’ magic Molokai design, for this week’s episode of the PADDLE VLOG. For a closer look at the boards featured in this week’s episode, head over to the official site and check out the all-round NSP Puma and the downwind-friendly Sonic. Here’s another great vid from stand up paddling’s resident vlogger, Mike Jucker from Stand Up Magazin, who takes us behind-the-scenes at the most prestigious race of the year: the epic channel crossing from Molokai to Oahu. VMG Battle of the Brands has been updated following the epic showdown in Hawaii. Molokai hero Penelope Strickland jumps three spots on the updated World Rankings leaderboard. Australia’s Travis Grant has claimed his third Molokai-2-Oahu championship title after overpowering world number one Connor Baxter in an epic duel across the infamous Ka’iwi Channel today, setting a new race record of 3:59:52 and cementing his status as a true legend of the sport after becoming the first paddler to ever break the mythical 4-hour mark. – Travis became the first paddler to ever break the four-hour mark, setting a new record of 3:59:52 to cement his ‘Legend’ status. – After battling side-by-side with Travis for 31 and a half miles, Connor Baxter had to settle for the runner-up spot in 4:03:46. – Trav’s NSP/Quickblade teammate and training partner Titouan Puyo claimed third place ahead of James Casey and Vinni Martins. – Penelope Strickland has produced a stunning upset to claim the women’s crown well ahead of Terrene Black and hot favourite Annabel Anderson. 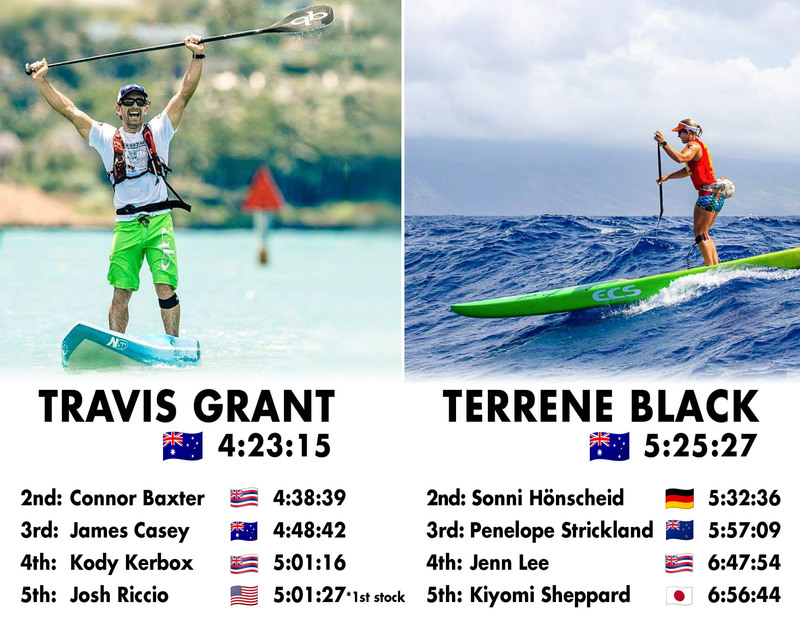 – Highlighting just how good the conditions were (and just how competitive the field was), almost every single Molokai race record was broken this year. We’re just 24 hours away from one of the biggest races of the year: The 32-mile crossing of the infamous Ka’iwi Channel known as Molokai-2-Oahu. It’s a race with so much history, so much prestige, and so many stories. But who’s going to add their chapter to the saga this year? Molokai holds a special place in our sport – it’s sort of like the SUP racing equivalent of summiting Everest – and while for many it’s a personal challenge that’s all about the journey itself, for a select few elite, Molokai is an ultra-competitive showdown that they want to win more than any other race on the planet. Defending champ Sonni Hönscheid has withdrawn from Molokai, ending the prospect of an epic duel with Annabel Anderson.